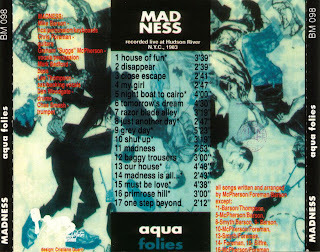 This is a classic Madness bootleg originally circulated on CD as 'Aqua Folies' no doubt, as a result of the concert taking place at 'The Pier', Hudson River, New York City, USA. This was part of their late summer (1983) USA tour, the actual gig took place on the 22nd August 1983. Source: FM stereo broadcast, with advertisements and presenter links removed. Sound Quality: Superb, 320kbps mp3 stereo version, fans and audio 'buffs' will not be disappointed. Genre: Two Tone (how many record labels becomes a genre? ), English Ska, OK it's great pop, that stands the test of time. Set: Full set including encores, nicely edited as mentioned above. 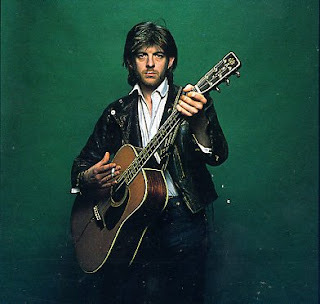 This is Nick Loweand His Cowboy Outfit (featuring Paul Carrack), Live at The Ritz Theatre, New York, on the 19th October 1985. Source: WNEW 102.7FM stereo broadcast. Sound Quality: Stereo very good 'off air' recording - first generation. Genre: Pub Rock, New Wave, from rock to country to soul to pop. Set: Majority of concert (cannot confirm if WNEW edited out any stage of the gig).